Our Red Mill Walk Changing Lives Martial Arts facility offers programs for Karate for Kids, Martial Arts for Adults and Krav Maga. This location has been in business since 2001 serving Virginia Beach. 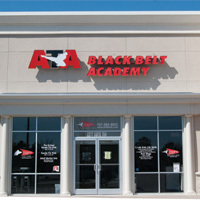 We have been serving our local community, Military Members, Law Enforcement Officer, Firemen, City Employees and Civilians with Karate For Kids, Martial Arts for adults and Krav Maga from the following areas; Virginia Beach, Chesapeake, Moyock, Lynnhaven, Chesapeake, Pungo, Great Neck, Red Mill, Sand bridge and Creeds. Please feel FREE to register for our special offer or call us at 757-563-9022. Training with a professional martial arts and karate instructor at Changing Lives Martial Arts is more than just a typical class. Each Martial Arts Instructor, Coach and Trainer are personally involved with each step of a students training. You will benefit from a program created with your personal goals in mind. Our Instructors will teach you the principles of exercise and partner with you to create a workout plan that will help you get results in fitness or self defense. If you want to lose weight, build muscle, increase endurance or simply look and feel better, Changing Lives Martial Arts Instructors are here to assist you every step of the way.